I don't know how many other astrology websites and horoscopes you check out, but if you've read even one or two, you know that everyone handles the planets -- and interpreting them -- a little differently. Classical versus modern; predictive versus psychological; technical versus narrative...there are many variables, styles and directions to astrology. 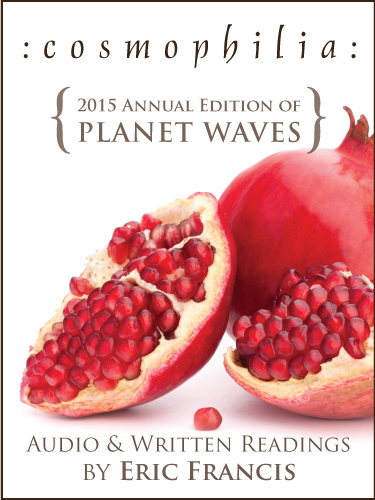 The fact is, nobody else is doing astrology quite like Planet Waves does. That's why you're here: our written horoscopes, audio readings and classes vibrate differently, look different, sound different and -- most importantly -- leave you feeling different about yourself and your world. I'd like you to take a moment to think about that: how you feel right now, and how you've felt after reading or hearing your absolute favorite offerings from Planet Waves. Pretty powerful, right? We put out nothing short of amazing work that will offer you an avenue to the sense of empowerment, peace, self-confidence, and excitement you need to shape your world -- one choice, one vision, one action at a time. Here are our latest offerings -- including the superb Midyear Reading and an incredible half-price offer on the 2015 annual edition, Cosmophilia. As we head deeper into this year, the major transits have one important thing in common: Virgo. Your charts are bursting with potential, which Eric describes in full, accessible detail in your 2015 Virgo Birthday Reading. For starters, Sept. 13 you get a New Moon that’s a partial solar eclipse in your sign. Eclipses are potent, threshold-like pattern-setting events that usually come in pairs. Opposite Chiron in Pisces, this solar eclipse indicates that themes of healing and teaching could be at the forefront. Since Chiron is in your relationship house (your opposite sign), you can expect these themes to express themselves in your relationships. Then Saturn returns to Sagittarius on Sept. 17. Making a square to your sign, Sagittarius is related to your local environment, those closest to you (such as siblings and neighbors), and how you communicate with those people -- among other things. Saturn will be helping you to restructure this facet of your life. 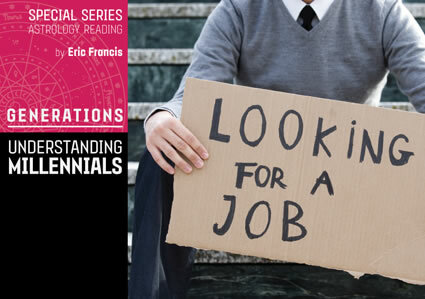 Eric will explain what all of this (and more) means for your relationships, career, finances, creativity and healing over the next 12 months. In plain, clear language, he’ll help you direct the story of your unfolding life in terms you will understand -- and, more excitingly, that you’re sure to resonate with deeply. Your Birthday Reading includes: two sessions of astrology of at least 30 minutes each, a tarot reading using the Voyager Tarot deck by James Wanless, and an extended written description of your sign. Eric will also provide images of the charts and tarot spread he uses, and access to last year's reading. Note: this audio reading is suitable for Virgo Sun, Virgo rising, and Virgo Moon. 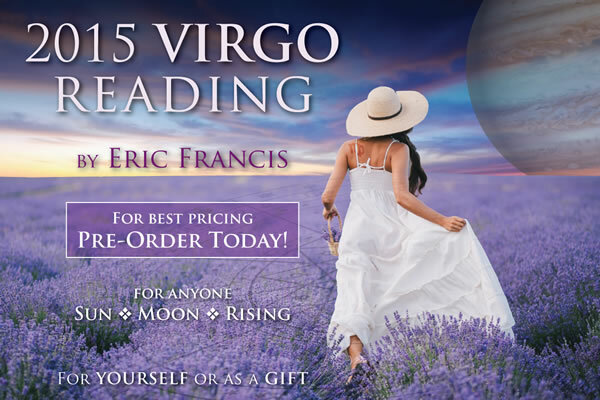 Order your 2015 Virgo Birthday Reading today for just $29.97. 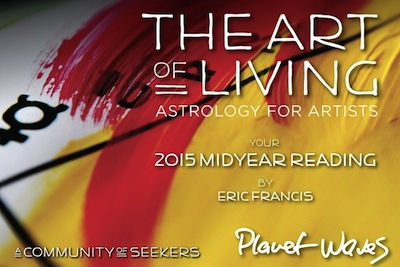 We are excited to announce that the the 2015 Midyear Report, The Art of Living / Astrology for Artists, is a beautiful success. The theme is how to live artfully; how to turn your life into a creative project; and how best to integrate conscious creation into your life, as a way of life. Details Eric covers will include Venus retrograde, the two additional Venus-Mars conjunctions, the two additional Venus-Jupiter conjunctions, and Jupiter ingressing Virgo. You may order it here. "Being an artist/designer & going through a host of challenging times for the past few years, I have been calling out to the Universe for guidance more than ever in recent months & weeks, for fear that my way will be wholly lost. 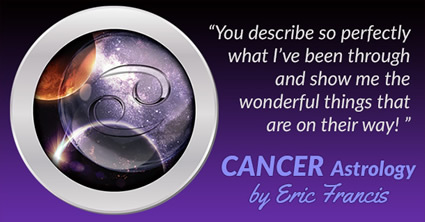 One of the beautiful & timely answers to this calling came in the form of Eric's generous midyear report, aptly titled Astrology for Artists." She adds, "I am finding new insight & a sense of uncovering & recovering with each reading starting with my Sun sign (Aries) & moving on around the wheel." One reader, Diane Agustsson, said earlier this year, "OK, I have historically highlighted in red the things that were most significant me in your yearly reading … always with a sense of awe at your ability to read the energy. And, then watching other things unfold during the year with support of monthly readings which aid focus. This year, the entire paper is red! You are definitely a clear conduit for thousands of people who can accept." 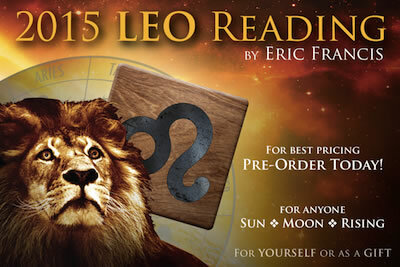 If you have a Leo Sun, Moon or rising sign (or you love someone who does), you can now order the 2015 Leo Birthday Reading for instant access. 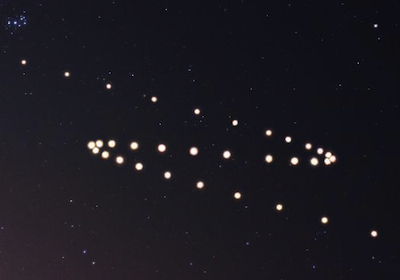 This year's reading focuses on Venus' retrograde phase, and its extended visit to your sign. This latest in the bestselling series of birthday readings is available immediately for just $29.97. Venus has been in Leo since early June, and with one brief exception it will be there until early October. That's a lot of Venus, and it points to your getting the message about some important mission on which you must now embark. If you're looking to strengthen your self-esteem or to reconnect with your personal flame and boost your courage for this year's mission, Eric has plenty to say in this reading to guide you there. Your Birthday Reading includes two sessions of astrology of at least 30 minutes each, a tarot reading using the Voyager Tarot deck by James Wanless, and an extended written description of your astrological sign, with images of the charts and Tarot spread.